I was trying to think of a tune that might work for just a solo Lap Steel Guitar. Albatross came to mind! Played on a Gold Tone LS6 Lap Steel fitted with a CC type pickup and tuned EBDGBD low to high. It also works well on D or E tuning! Played through a little yamaha THR10 on the acoustic setting. I hope you all enjoy. 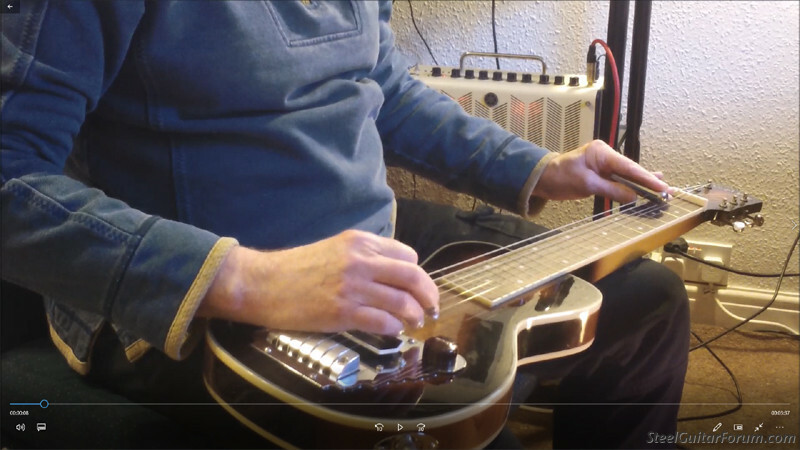 I added a extra view to your Youtube tally Mike and will add Albatross to my list of tunes to learn on steel guitar, cheers for the inspiration. Mike Harris. Totally agree. I tried it but I could not achieve good enough harmonics playing the bass notes at the same time. Well, I'll bet you could get away with modifying the bass line for the duration--adding bass notes where you can around the harmonic notes of the top line. ----indicates sustained high note. I hope this makes sense. Mike Harris.....I can only play a harmonic while plucking the string with my thumb.....I just took the easy option! Thanks for your kind comments.....I appreciate them! sorry, I should have realized that. I used to play a lot of classical guitar and I think of harmonics as being played with the ring finger (and the index). Sorry about that!